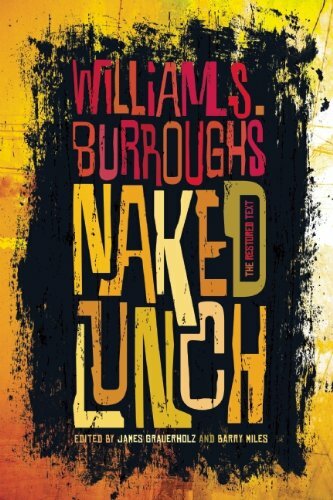 Since its original publication in Paris in 1959, Naked Lunch has become one of the most important novels of the twentieth century. Exerting its influence on the relationship of art and obscenity, it is one of the books that redefined not just literature but American culture. For the Burroughs enthusiast and the neophyte, this volumeâthat contains final-draft typescripts, numerous unpublished contemporaneous writings by Burroughs, his own later introductions to the book, and his essay on psychoactive drugsâis a valuable and fresh experience of a novel that has lost none of its relevance or satirical bite. About: Naked Lunch is one of the most important novels of the twentieth century, a book that redefined not just literature but American culture. About: Since its original publication in Paris in 1959, Naked Lunch has become one of the most important novels of the twentieth century. About: Since its original publication in Paris in 1959, Naked Lunch has become one of the most important novels of the 20th century. About: Bill Lee, a drug addict and hustler, travels to Mexico and then Tangiers in order to find easy access to drugs, and ends up in the Interzone, a bizarre fantasy world.